When I visited Wexford Lavender Farm with Magda and her boyfriend, they cleverly checked the stand in the café with all the leaflets of the surrounding attractions. 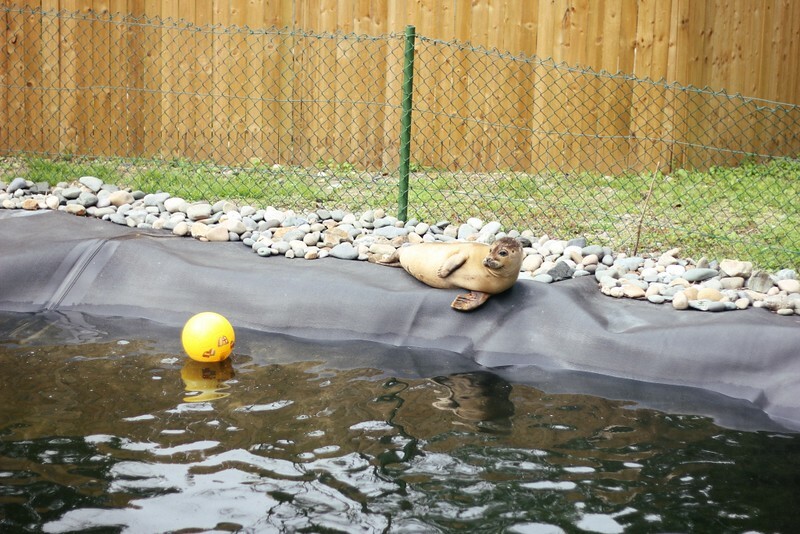 They found one for the Seal Rescue Centre, located a few miles away from the farm. This looked too amazing to be missed, so we hit the Wexford road again and, in no time, got to the popular seaside town of Courtown (I’ll show you what the harbour looks like in a later post – edit: here is the post if you’re interested). After a spot of lunch, we headed to the rescue centre and got a super-friendly welcome from the volunteers. 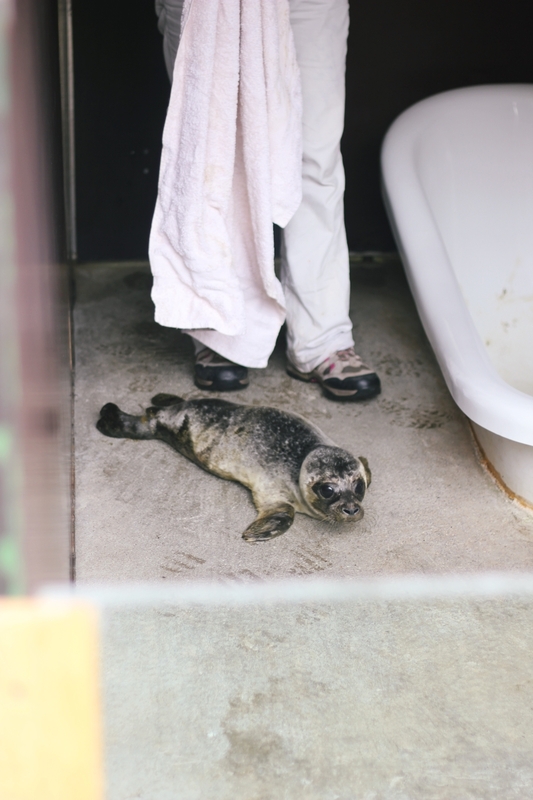 We received a tour of the premises and got introduced to all the little seals on the mend. There were Anthony, Bubbles, Mr Yeat, Jenny (the master of the pool), the cutie pie Sea petal (look at her though in the first picture) and other pretties whose names escape me now. 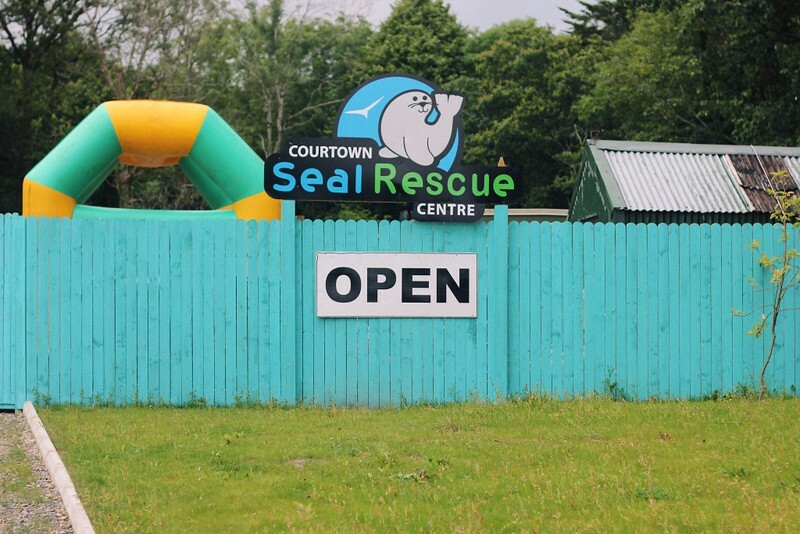 The centre was pretty busy as it takes care of all the seal pups in need all over the Republic of Ireland (and sometimes extends their help to Northern Ireland when their own centre is full). Amazed, we listened to the stories of how some of the seal pups ended up in the centre. One was found by a farmer in a middle of his field with no visible explanation as to how it ended there; or another apparently tired decided to jump on a passing boat and have a rest there. 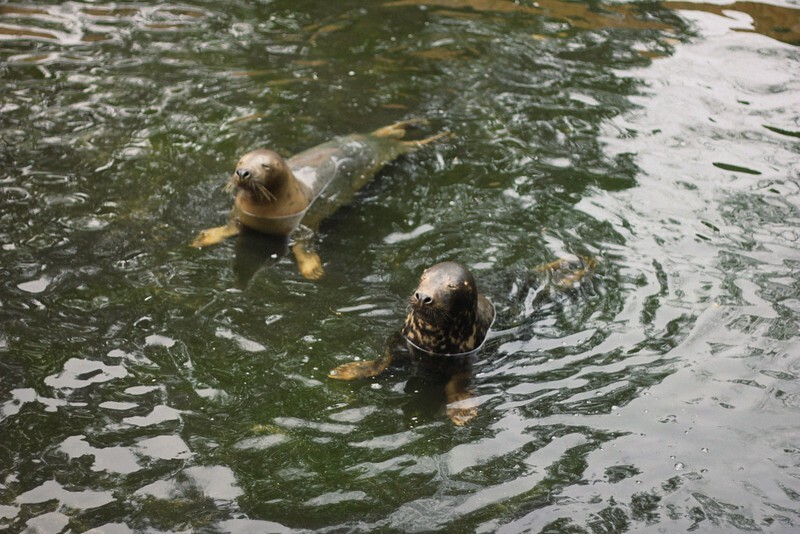 Ireland counts among its seas 2 species of seals: the grey seal and the common seal (ironically the less common of the two). And if you ever encounter a baby seal washed ashore, the rescue centre has some steps for you to follow if you think it is in danger (you should never put it back to the sea). After the introductions, we waited around for the seal pups’ afternoon snack. Volunteers follow three methods to feed their little patients, depending on their age. 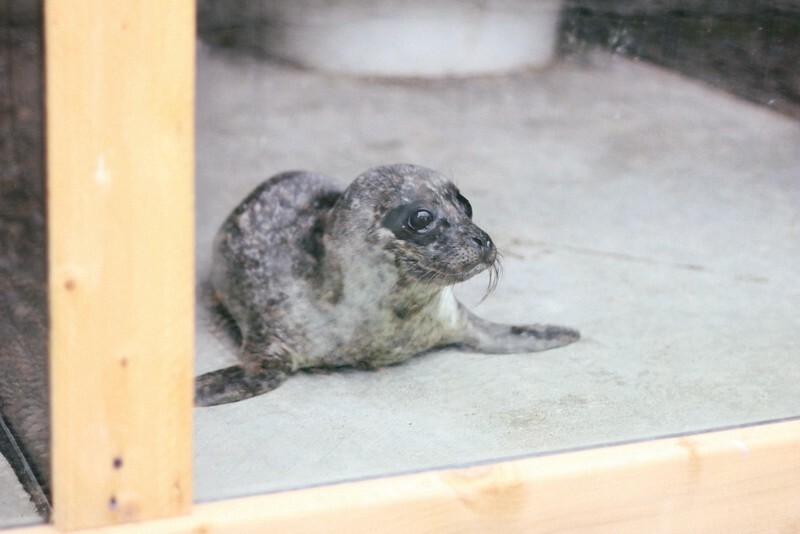 When they arrive to the centre, seal pups are sometimes as young as a few days and the volunteers have then act as substitute to their mother to help them survive. 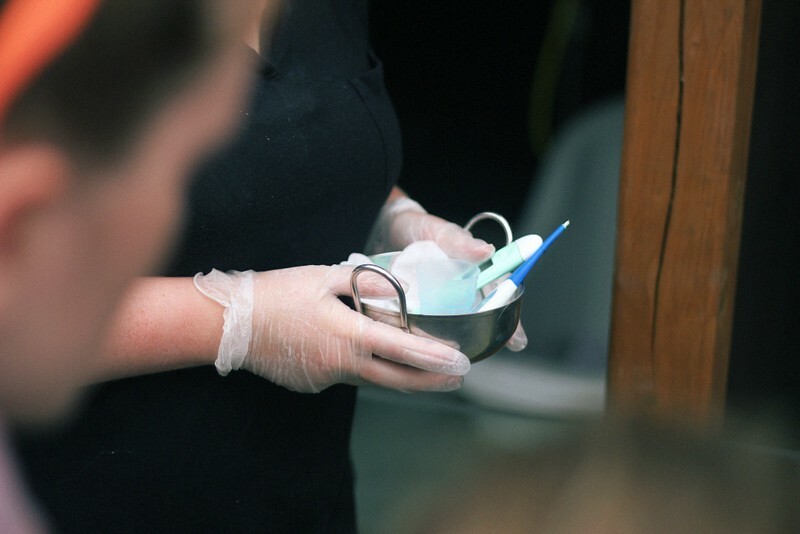 They will tube-feed the newborns with what they call a fish soup (blended fish). 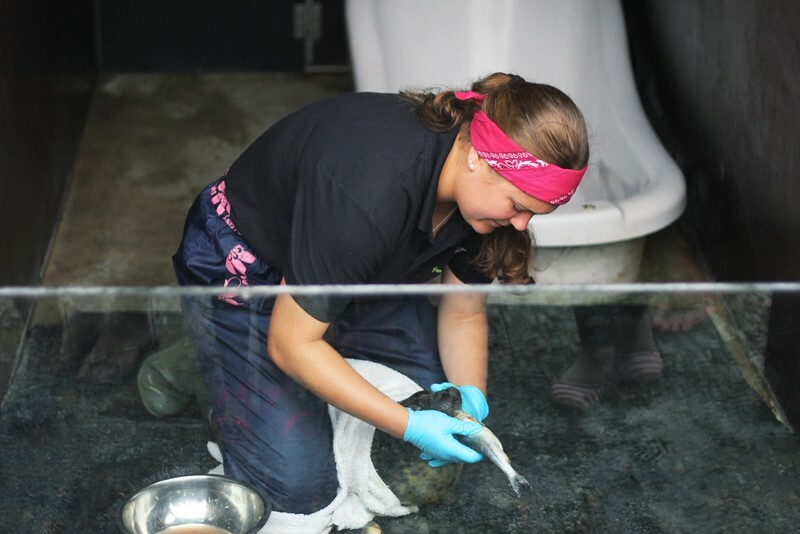 The method looks and sounds a bit traumatic, but the young seal learn to adapt quite quickly. The reason of the tube rather than a more reassuring-looking baby bottle is that the surface from where the seal pup breastfeeds from his mother is completely flat. Instinctively, they would never take a bottle’s teat. 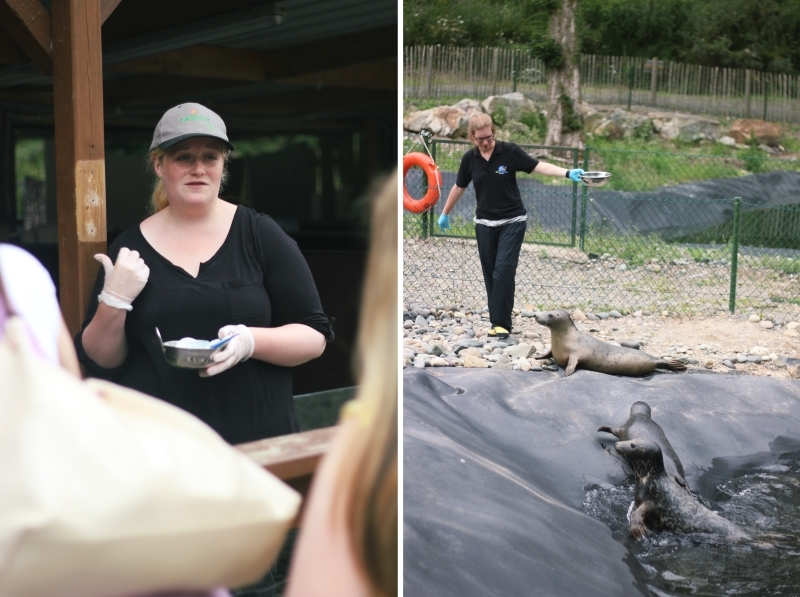 After several weeks (it takes much longer than breastfeeding as the fish soup is not as nutrient-packed as the mother seal’s milk), the volunteers will teach the pups how to feed on whole fish. During these 2 phases, the pups are being kept in kennels. Once they’re autonomous enough, they’re transfered to the pool. 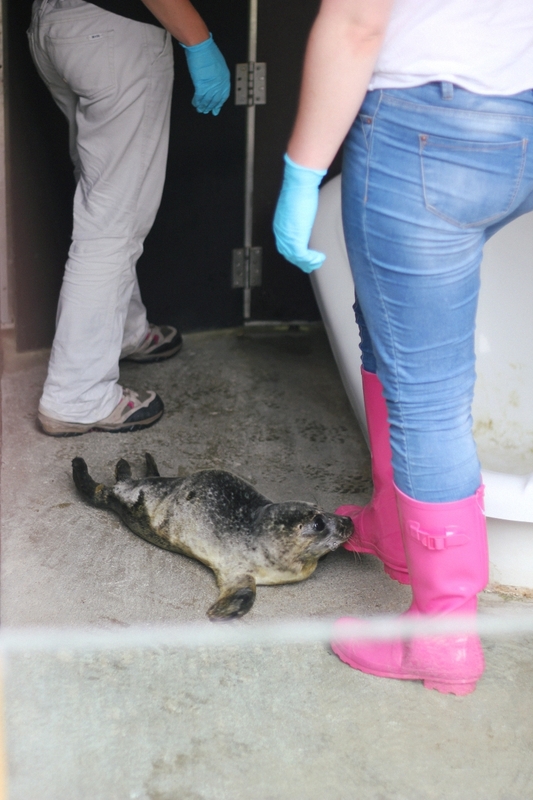 Top Tip: Plan your visit around the seal pups’ feeding times. 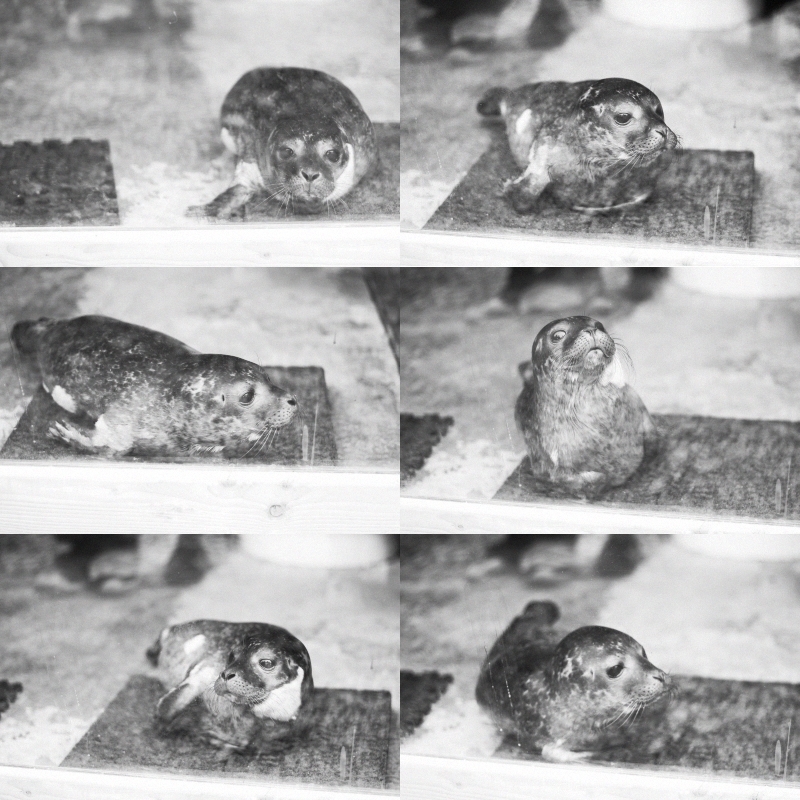 The volunteers will explain and then demonstrate how they’re taking care of them. 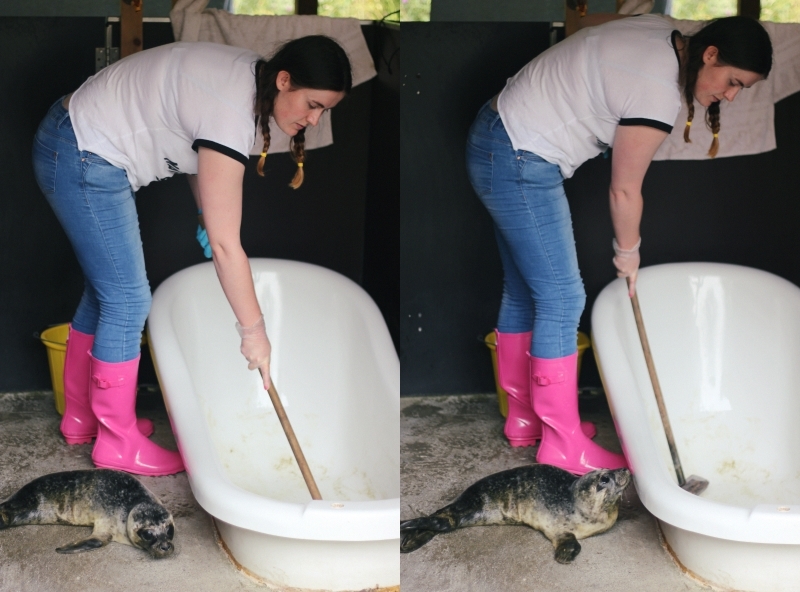 It is important for the volunteers not to interact too much with the seals and keep them wild, especially as they’re in the pool stage, the goal is to release them to the sea as soon as they reach a healthy weight. 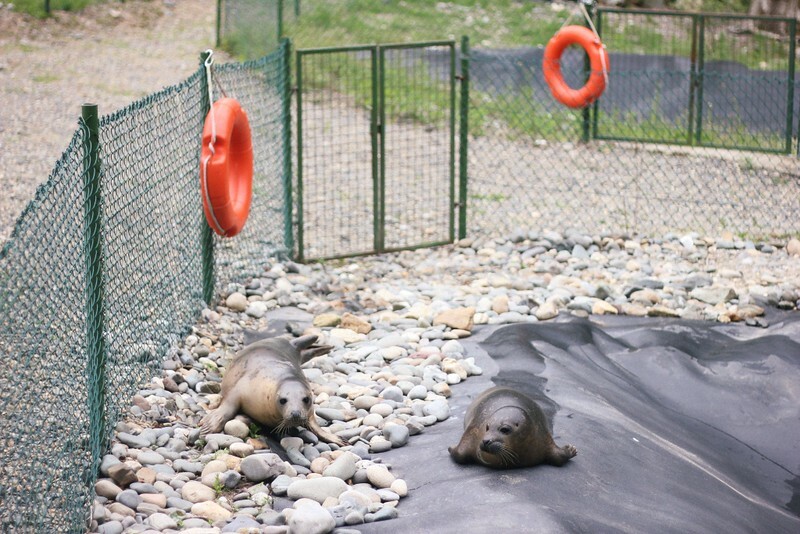 The rescue centre has an amazing 80% success rate upon release. If you’re ever in the area, I encourage you to pay a visit to the centre, the staff are so friendly and I think it’s good for the soul to be reminded that humans can also do awesome things for the environment. Plus, you’ll be doing a good deed as the centre relies on the prices of the tickets they sell as well as donations to function. Word of warning, the cuteness overload may be too much to handle though. haha ‘mermaid dogs’ that’s a brilliant image! ahhh i need to go immediately! haha yes, it’s a bit of a stretch, to say the least! Please read anything by Fernando Pessoa! I mean it. He was so brilliant and eloquent, it’s impossible to dislike his writing. The Book of Disquiet is a masterpiece I still haven’t finished. Very deep and complex… Also relatable. I personally think you’ll love it, specially if you are a deep thinker, with a penchant for witty observations. such a beautiful quote, thanks for sharing and you’re really making me want to read him, he sounds amazing!